The kitchen, which the new chef Donatas turned into a 100 percent team workstation: „Everyone in the restaurant is very different, but we have one important thing in common - love for food. If the newly arrived member does not follow up with the teamwork, he will probably not last long here“. The philosophy of love for each plate is reflected in the restaurant's menu, which is small, but very colorful, in the direct and indirect sense of the word. Even though the well-known chef Egidijus Lapinskas still manages the kitchens of all restaurants, each kitchen has its own local chef, and they call E. Lapinskas their “chef-patron”. Now, he only supervises the work of all restaurants. 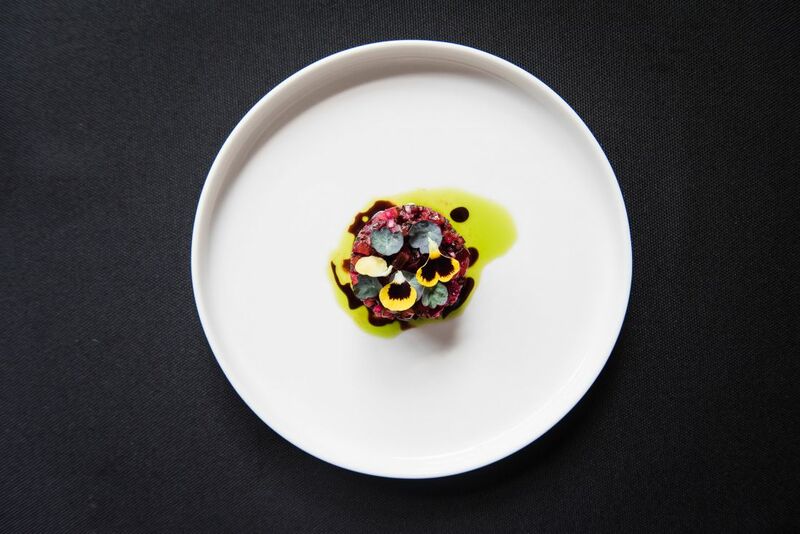 For some time now, the menu of Dine is created by Donatas Šatkauskas and his team. Now it's full of delicious meals based on seafood, fish and meat. Of course, as it proper for the restaurant of this level, almost everything - from sauces, butter to freshly baked bread - is produced on the premises of the restaurant. Even the meat is smoked here. By the way, the best wine pairing for the dishes created by Donatas is chosen by the other restaurant owner and one of the best Lithuanian sommelier Arminas Darasevičius, who among all his catering institutions has special feelings for Dine. Moreover, the restaurant also offers tasting dinners with special wine pairings. The highest-grade octopus with young potatoes and homemade duck sausages – 20 Eur, beef ribs – 21 Eur. Donatas was engaged in professional tennis in his early age, but realizing that he would not be the first in the world of tennis, he decided to end this path and surprisingly for himself turned towards culinary. Of course, the big influence and reason was his dad, who is gourmet and Donatas was able to observe him in the kitchen from his early childhood. 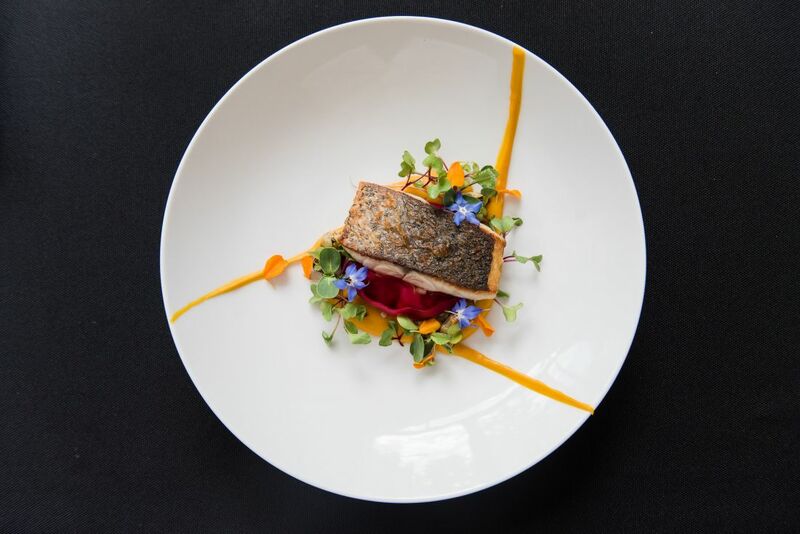 So, choosing culinary studies abroad, D. Šatkauskas graduated from the University of West London and joined the prestigious Oxo Tower restaurant in the English capital. 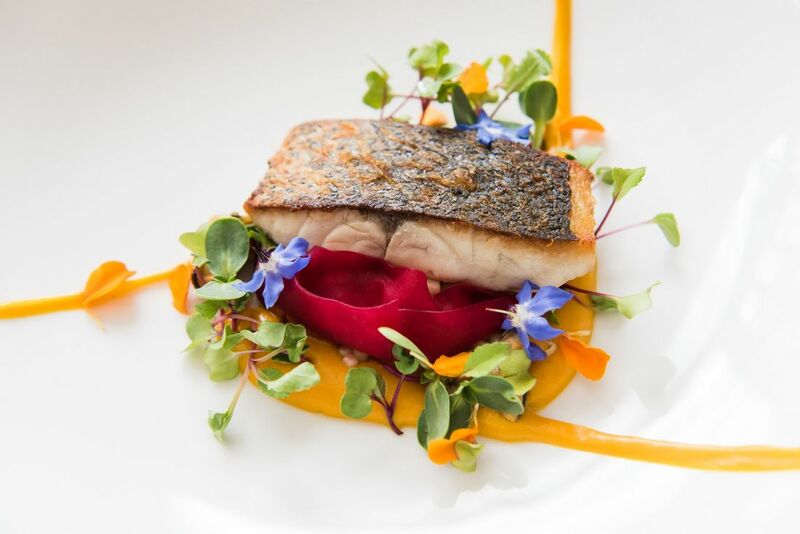 Later, he found himself at the Fera at Claridge's restaurant, Simon Rogan's newly opened restaurant which received its first Michelin star only after half a year from the opening: „There I realized that until then I did not know anything about the kitchen,“ – Donatas smiles. Finally, after gaining even more experience and confidence, Donatas (for love) returned to Lithuania. 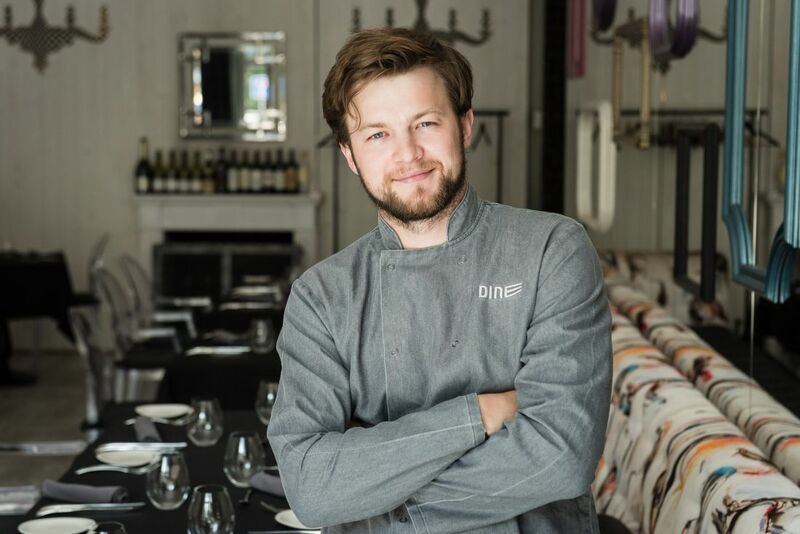 After a year of searching, he eventually found himself in Dine, where he was quickly promoted to the position of the head chef. Dine is located in two rooms: one room is light and full of mirrors, while the other is of elegant brown color and dim. Thus, guests can choose a room to sit and enjoy their culinary experience based on their taste and mood.